You can place your entire multi-manufacturer order with one sales representative – by phone, fax, direct email, or internet. We’ve eliminated the need for you to be transferred to other sales associates, saving you time. You receive your entire parts order on one delivery truck. One truck…one delivery…and one check when your receive your order. A total of 200,000 square feet of parts storage means we’ll have that part when you need it. Choose from 250,000 part numbers in stock from 23 manufacturer brands…or one of our three parts locator services will locate it within minutes, anywhere in the country. We have created an effective ordering, fulfilling and shipping process. Your order moves through quickly, wasting less of your time. CARQUEST of Doylestown is right here, within our building. This means you can have your CARQUEST parts delivered with your OEM parts on one truck. Our large facility has room to expand. We can grow with your needs, whatever your future brings. 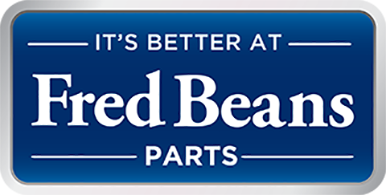 We are Fred Beans Parts; our mission is to always be the industry leader in automotive parts sales and distribution. We provide prompt solutions to our customers, utilizing our experienced team. We accomplish this by empowering our team, building on trust and integrity, and through coaching and mentoring, striving to continually break the status quo.